Sun’n Fun Fly-In (Lakeland, FL) – The CH 750 Cruzer has arrived! Zenith Aircraft Company is introducing its new light aircraft design at the Sun’n Fun Fly-in. The all-metal two-seat CH 750 Cruzer is the latest design from Chris Heintz. While influenced by its well-known STOL predecessors (the STOL CH 701 “Sky Jeep”, CH 750 and four-seat CH 801 sport utility aircraft), the CH 750 Cruzer is an all-new design. “We’ve retained some of the most popular features of the STOL CH 750, while optimizing the new design for cross-country flying, ” says Heintz. The Zenith CH 750 Cruzer introduced at Sun’n Fun was flown to the show by Heintz (1, 000 miles from the factory in Missouri) and is equipped with the UL350iS 130-hp fuel-injected UL-Power engine and the latest Dynon SkyView glass panel display system. As equipped, the aircraft weighs 780 lbs., providing a useful load of 540 lbs. at the 1, 320 lbs. LSA gross weight limit. 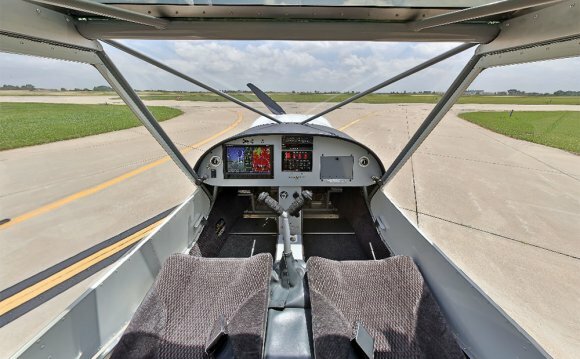 Cruise speed is 118 mph, rate of climb is 1, 200 fpm, and stall speed is 39 mph. The new design utilizes the same firewall as the STOL CH 750 and the low-wing Zenith CH 650, meaning existing firewall-forward engine packages are readily available including the Continental O-200, Rotax 912 series, Viking (Honda), Jabiru, Corvair, and others. Zenith CruZer with O200 engine: Start, fly, park!